If you’re looking for the top of the line in cruising the Mediterranean, you need look no further than Silversea Cruises. This is considered the most luxurious and highest end way to sail the beautiful seas of the Mediterranean Sea. This line, based in Monte Carlo, offers the ultimate pampering and luxury, but according to Cruise writer Ralph Frizzle, it’s not stuffy or pretentious. 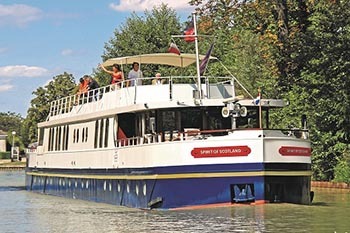 They call the devoted fans of Silversea “Venetians” since many of them go back again and again. All meals are served whenever the cruising guests are hungry, there are no official seating times, since it’s all up to the cruiser’s whim. It all starts with a tiny passenger roster…such as the Silver Explorer, which carries only 132 guests on their expeditions to the Arctic and Antarctic. On this line, every suite comes with its own butler, who draws you a bath, sets up a cocktail party, cleans your luggage or secures you dinner reservations for your next port of call. Tips and unlimited fine wines and spirits are all included. Entertainment leans toward the brain food variety–noted authors, historians, chefs and other experts lecture on topics relevant to the ports of call. You won’t find big crowds on this line while you visit the great Mediterranean cities such as Rome, Naples, Split and Dubrovnik, and there aren’t any entertainments options for kids. So if you happening to travelling with kids then perhaps a cruise from www.cruisenation.com may be more appropriate. After all the Silversea cruises aren’t for everyone.